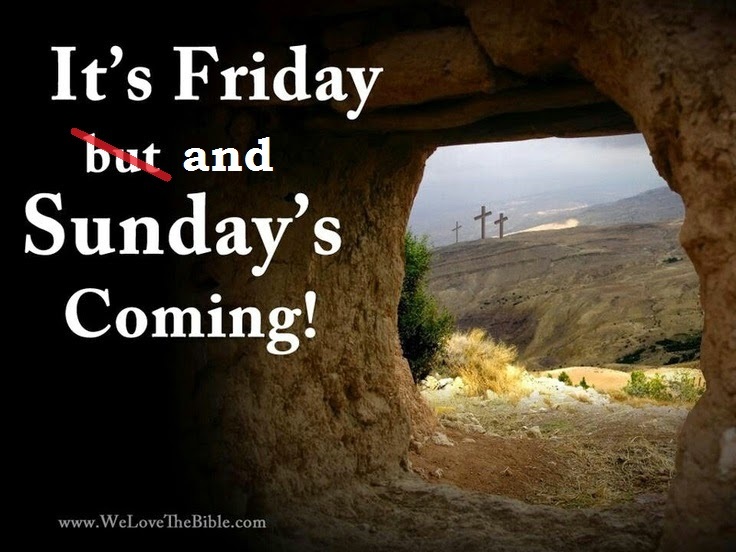 It’s Friday AND Sunday’s Coming: Thoughts on Easter | MND GMZ MINISTRIES: Reclaiming the Rules, Finding Identity in Christ. “Before the sun had risen on Sunday morning, Mary Magdalene made a trip to the tomb where His body was laid to rest. In the darkness, she discovered the covering had been rolled away. 2 She darted out of the garden to find Simon Peter and the dearly loved disciple to deliver this startling news. Each gospel account of the resurrection is slightly different, emphasizing different aspects of the events as they unfold. John’s version is my favorite. John draws me into the confusion and mystery of that wonderful morning. The women coming to pay their respects. The disciples so scared that Jesus’ body has been stolen, or perhaps so excited by the possibility that Jesus is alive that they run to the tomb – I mean, in either case, you’d run too right!? I know I would, and like Peter, I’d likely be the last to arrive, out of breath and out-sprinted by everyone else! 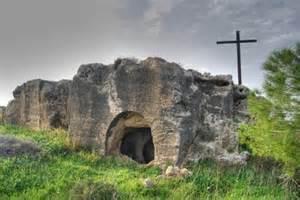 I love that John had begun to lose faith until seeing the empty tomb for himself. At that moment, his “faith began to well up inside him.” Even the beloved disciple and Jesus’ best friend had doubts (which must make it permissible for me to have doubts too). And then there is Mary, who stays behind after all others have gone home to continue to weep and grieve for Jesus. She hasn’t quite caught on to all that has happened, and just like He always does, Jesus meets her right where she is. He instantly turns her deep despair into incredible hope. I have struggled to write about Easter – at least the whole story. You see, I could write volumes about Resurrection Sunday. What’s more exciting than the account of Jesus rising from the dead, conquering and claiming victory over sin and death once and for all!? What could be more joyous or hopeful than the freedom and life that comes from the resurrection!? There’s a song by Tree 63 called, “Sunday” that says, “It’s Friday, but Sunday is coming. Sunday! Hallelujah, it’s not so far, it’s not so far away.” I have always loved this song. It’s happy and hopeful, but to be those things, there must be despair and hopelessness. You see, we can’t have one without the other. Yes, Sunday is coming, but not without living through Friday and Saturday first. And I don’t like Friday and Saturday – yes, Good Friday is indeed good, but it is full of sorrow and pain. The thought of my sin nailing Jesus to the cross is too much to bear. The truth that Jesus willingly sacrificed His life to save mine is overwhelming. If Jesus came to my town tomorrow I wouldn’t feel comfortable letting Him buy my coffee, let alone die for me! I’m supposed to be the one buying His latte and dying for Him, right? Wrong. And yet, for many years, I ignored Lent and Good Friday and focused only on the joy of Easter Sunday, too uncomfortable with the shame and sorrow to know what else to do. However, the celebration and victory of Sunday morning is so much sweeter when you’ve also tasted the devastation and agony of defeat on Friday evening. Both are required. Jesus cannot defeat death without first dying. He cannot conquer sin (MY sin no less) without sacrificing His life. Good Friday is only good because Sunday is amazing and Sunday is meaningless without the very real events of Friday. So yes, Sunday is coming! Hallelujah! It’s not so far away! And when life is hard, we can live in the hope of Sunday. Jesus has risen, He has risen indeed! But we cannot forget Friday either. Friday reminds us of the cost of sin, the price of forgiveness, and the depth of love. The cross cements our identity as God’s beloved children. “But God demonstrates His own love for us in this: while we were still sinners, Christ died for us. (Romans 5:8, NIV)” God values and loves us so much that He was willing to sacrifice His son to save us and have a relationship with us. When we begin to truly understand that truth, it becomes much easier to love others. When I understand how much I’m loved and how much I’m forgiven, then I can love and forgive others. So don’t get stuck in the sorrow of Friday. And don’t skip straight to Sunday. Hold onto the tension of both. It’s Friday AND Sunday is coming! Previous PostHoly Week Writer’s BlockNext PostWhat’s in a Name? 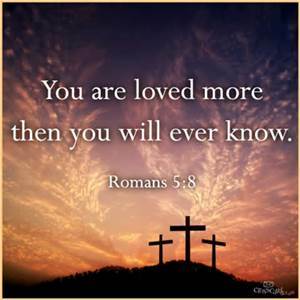 Love this…but…and please forgive me for the correction…the picture that says “you are loved more then you will ever know” *should* read “than” … not “then”. It takes away from the overall effect. Maybe you could find a corrected picture. Please don’t hear it as a negative comment; I just felt you needed to be made aware. I love our Savior with all my heart. Bless you for sharing this post.